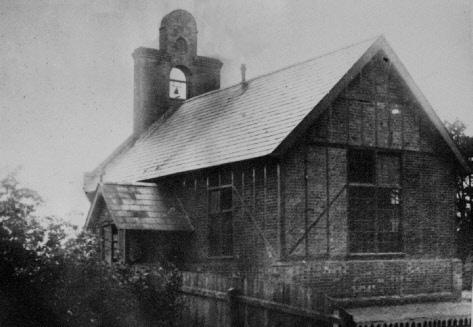 When the non-conformist Bunyan’s Chapel was opened in 1877 - a building specifically dedicated to worship - there was a reaction from the Anglican community. The religious ”census” of 1886 indicated that 36 of the 70 Preston families who had a religious preference were “Church”. 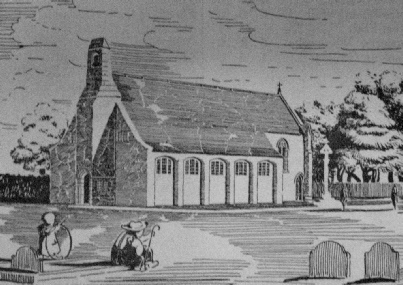 Following an approach by the vicar of St Mary, land owner Ralston de Vins Pryor offered an acre of ground for the building of a new church and burial ground, provided enough funds could be raised to build it. In January 1862, there was a news report in the Hertfordshire Mercury of a death at the church: ‘An awful case of sudden death occurred on Sunday morning last at Preston Church, near this town. Miss Cook, (Mary, aged 35) daughter of Mr John Cook, farmer of Hill End Farm, accompanied by her sister-in-law and other relatives attended the morning service at Preston, a village a short distance from her residence, when shortly after she had entered the church she fell forwards and was taken up a corpse. An inquest was held on Monday before Mr C Times Esq. coroner for this district of the county, when a verdict was returned - “Died from apoplexy”’. In 1849, the Lord of the Manor, Thomas Darton, financed the construction of Preston Charity School - a rather austere and plain brick building at what became known as School Lane. From 1850 this new edifice of education doubled as a School on weekdays and a makeshift church on Sundays. This was no doubt seen as a means of keeping contact with the mother church, St Mary of Hitchin. It required a special licence to perform a divine service in the school room which was granted by George, Lord Bishop of Rochester on 27 June 1850. Services were held here by a curate from St Mary. There was a gallery at the west end of the church for the segregated household and staff of Temple Dinsley. This was perhaps a visible reminder of the belief that the Lord had provided a place for everyone and it was their duty to stay there. I am glad to hear of the settlement of the committee and of the progress made by the meeting at the Vicarage and by your interview with the Bishop in giving shape to the design and making a beginning by resolutions. My doubt is respecting a Burial Ground which I have never contemplated, which appears to me to involve many difficulties and to require much consideration. 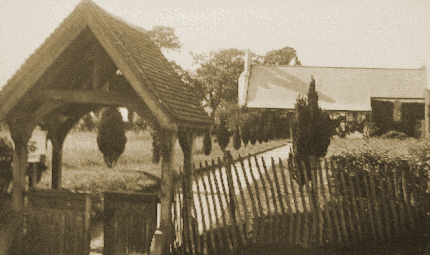 After the policy of closing Burial Grounds and providing for burials by means of a Cemetery governed by the representatives of all the ‘Parish Meetings’ or ‘Parishes’ interested, it seems to me doubtful whether it will be wise to open a new one. 1) This would be for the sake of two or three burials a year and would involve expense and a small system of Registration outside the existing system. 2) The desire for this arises out of the old feeling of the Parish Church with its churchyard around it for the burial of worshippers after death. The law has altered this and it would be equally for those who worship there and elsewhere. But it would be only for parishioners. I think this is inconsistent with the position of Preston which consists not only of part of the parish of Hitchin but also of St. Ippolyts (sic) with Kings Walden close at hand and Langley hamlet not very far off. Surely there would be all sorts of claims and unpleasant feelings called out. The only reason I can think of for a Burial Ground is the anticipation that someday a new parish might be constructed out of the neighbouring parishes to be independent with an independent Burial Ground. This is not now contemplated and seems far too difficult to be thought of now. Apart from that, nothing seems to me more lonely and melancholy than a churchyard with their few graves with some difficulty in making provision for their proper custody. From what I remember of the advice of the Chancellor, Mr Hempe, on new Burial Grounds, I believe that it will be found that to vest the land in the Ecclesiastical Commissioners is the proper way to avoid difficulties and considerable expense. Will you let me know what is the size of the site offered? My direction has been drawn to a paragraph in the Herts Express (see below) concerning a part of the Parish (the hamlet of Preston) with which I was intimately connected (as you know) some forty years ago. The paragraph to which I refer contains some rather sad reading and I am sorry to see that funds at your disposal for Church matters in your Parish are at so low an ebb! Indeed, I suppose it would be difficult to find any Parish in these times where it was otherwise. I do not at all know whether it is the intention of any large-minded and liberal Churchman in the Parish to build a church at Preston – possibly the present occupier of Temple Dinsley might be so disposed – but in consideration of my having spent the two first years of my clerical life as your curate at Preston and of my always taking more or less interest in the place, I shall have great pleasure in contributing £100 towards so good an object as a new Church at Preston and I hope that some wealthier than myself will be found to give sufficiently for its endowment. A LETTER IN THE HERTFORDSHIRE EXPRESS - An Interesting Revival. ........Little or nothing seems to have been done for religion in Preston for the long spell of three centuries and it is not yet fifty years ago that Thomas Harwood Darton built the present schoolroom which was licensed by the Bishop of Rochester and has ever since been used for Divine worship. We can now form an opinion as to the ancient (pre-Reformation) piety and contrast it with the ‘religious use’ of more modern times. But now something is happening to cheer on the Church in this neighbourhood – something which shows we are truly awake to the value of the religion of our forefathers – and this is the revival of Preston’s ancient Chapel of Ease. 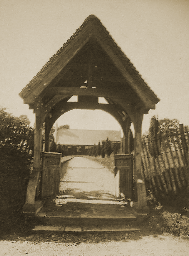 It is in accordance with the fitness of things that the generosity of the present owner of Temple Dinsley should take the form of presenting an acre of land as a site for the church and burial ground and also that the present occupant of the mansion should head the subscription list with £100. It remains for the Church at large and for the parishioners of the ancient parish of Hitchin to supplement this liberality by their donations and gifts till the requisite sum of £1,000 for the building fund be subscribed. Then the work will be at once proceeded with. Up to the present, good friends have given over £400 and doubtless many more sympathisers will be drawn to help on account of the great need that exists for supplying a population of about 340 people with their ancient religious privileges – indeed one might say their rights. Preston is a lovely little hamlet on high ground, three miles south of Hitchin; and, with so many interesting historical associations, is well worthy of a visit from those unacquainted with the country. At Messrs. Barclay and Co’s Bank, Hitchin branch, there has been opened ‘The Preston Church Building Fund’ into which all donations should be paid. And a responsible committee with the honoured Vicar of Hitchin as chairman has undertaken the burden of seeing this great work through. I am very interested in your letter and very pleased with the announcement of Mr Eadon’s gift, which, as you say, shows that help will come from unexpected quarters. I may be wrong but I have never thought that one subscription list in a parish seriously interferes with another in the long run because by all such lists generosity is drawn forth and one class of minds will respond to help in one direction which would not be drawn to help in the other...and a little kindly rivalry in such things is not without its stimulus for the parish. I shall hope that the school fund will get on all the better for the existence of this other one because its need will be brought more into prominence. Statements at intervals in the magazine as to its condition would, I think, be of use. Mrs MacMillan says in a letter this morning, ‘“You may begin your subscription list with our name for £100 and I hope to have some others to add to it before your return’. Will you thank her personally? A folded contributions card was produced in August 1898 to record gifts. On its front page were listed the fund’s committee: Rev Canon Hensley, Rev B. N. Switzer, F.O. MacMillan, Mrs MacMillan, Mrs Darton, English Harrison, R. de V. Pryor, and W. O. Times. There were fund raising activities like the concert organised by Frederick Armstrong of Preston Hill Farm which raised £11. 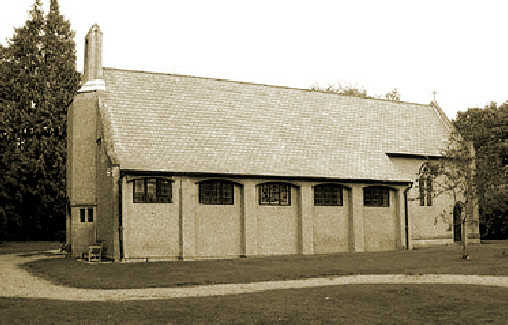 The parish magazine charted the fund’s progress: it is ‘a matter for much congratulation that the inhabitants of Preston and their immediate friends have been instrumental in raising £500’. By January 1899 the church fund had reached almost £800. 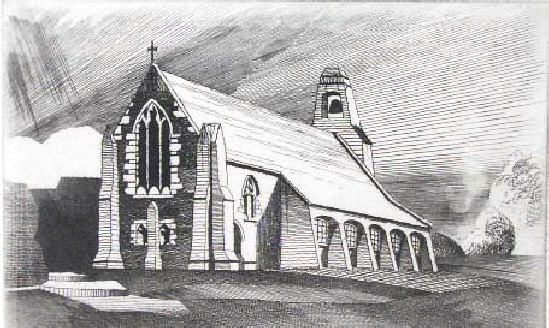 A design for the church was submitted which was costed at £1,200. 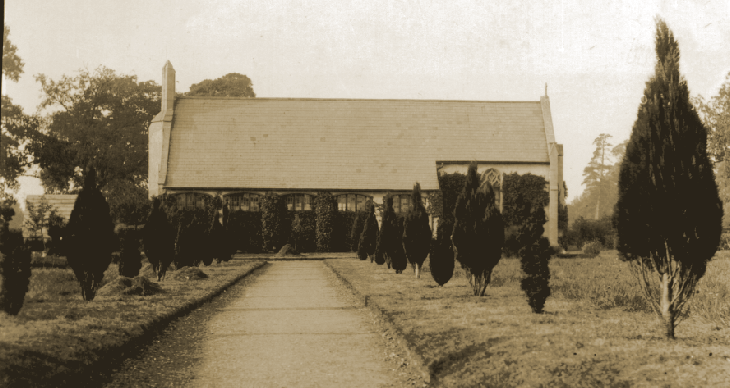 The shortfall was quickly made up and on 11 November 1899 (St Martin’s Day) the foundation stone was laid by Mrs MacMillan, a resident of Temple Dinsley. 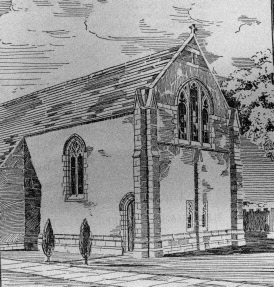 The committee met on 28 January 1899 to consider the state of the Building Fund for the new church and to hear the architect’s report on the plans. The subscription list showed £785 so that further efforts must be made to increase it. Mr T B Carter of 5 Staple Inn, London submitted a very complete design, the estimated cost of which is £1,200. It was found impossible to produce a satisfactory plan for a church with the required accommodation for under this sum; it was therefore accepted and, when more money is in hand, will be proceeded with. The church will seat 162 persons. The furniture, fees etc will be extra, but it is hoped that much of the furniture will be presented. There is already the Reredos, the Pulpit and the East Window. The Altar, Lectern and Font will perhaps appeal to the generosity of some. Two bells also will be required as well as the necessary books. The architect has promised a complete list which will be published as soon as it is received. The seats are to be chairs. The graveyard surrounding the church will be a great boon to Preston which till now has used Hitchin Cemetery for burials. Part of Preston being in Ippollitts parish, the Vicar is arranging for an offertory in support of the Building Fund and it is expected that one or two will be collected at St Mary for the building of a new church in a parish is surely calculated to interest all and enlist their help.We insert prints of the new church of St Martin at Preston (above) as it will appear when completed. The building is going on apace –faster, indeed, than the rate at which the funds are now coming in. Before all necessary expenses can be met, at least £350 more will have to be subscribed. Within the past month, about £15 has been added to the Building Fund, nearly £4 coming from Preston itself. This included £2 2s 11d, the offertories at the Harvest Thanksgiving Services on 24 September 1899, diverted for the present from Hitchin Infirmary but doubtless to be restored to it in due course with interest. Since January last, the Sunday School box has returned 18s 3d and the Church Alms Box, 10s 4d. This solemn and interesting ceremony, as being notified in our last issue, took place on 11 November 1899, being St Martin’s Day. A procession started from the Schools towards the site of the new church at 12 o’clock, consisting of the choirs of St Mary and Preston, six clergy and about 250 people. During the march, The Church’s One Foundation was sung. When the congregation had taken their places, the Vicar proceeded with the service, at one point laying his hand upon the stone and repeated a prayer. At the time arranged, the lime was spread by Mrs Macmillan, who laid the Stone and then the Vicar pronounced a blessing. He also addressed those present; in the course of his remarks, he referred to the growing feeling of the need for a church at Preston and to the way in which that need was now being supplied. He hoped that many blessings would result to the village and worshippers in generations to come and that the church would always be well attended. He referred to the name of St Martin as a most appropriate one for the church. It seemed, he said, to spring up in several minds at the same time and brought them back to the times before St Augustine came on his mission to England. It was the name of the oldest church in England (St Martin, Canterbury) and although not connected with the Knights Templar who once lived at Preston, the name of this soldier, missionary, bishop, true saint would ever call to charity and devoted service. The Templars, who formerly had a chapel at Preston, probably used St Mary in their dedications which was already the name of the Parish Church and therefore St Martin, Preston would be the dedicatory name of the present building which would, he hoped, be consecrated next summer. On the conclusion of the ceremony, the procession returned to the Schools singing All People that on Earth Do Dwell. The collections amounted to £11 2s 0d leaving £10 for the Building Fund after deduction for expenses. The weather was very fine and pleasant for November, although somewhat windy. The church will be ready for consecration next summer and the Bishop has signified that the 11 July will be a suitable date. A list of necessary articles of furniture etc. Which the Committee would gladly see presented to the church will be published in next month’s magazine. In the meantime, the work of collecting subscriptions is being carried on and in this direction much still remains to be done. As the Bishop of St Albans said, a series of ‘important events in the life of our Parish’ took place on 11 July 1900. We speak now of more especially of Preston where stands today, as a testimony to the life and activity of the Church of God in our midst, a beautiful new building dedicated and consecrated to the service of God as a Chapel of Ease to the ancient Parish Church of St Mary, Hitchin. Surrounding this is the new churchyard, an acre of consecrated ground, where (to quote the Bishop again) the bodies of the sleeping saints will be ‘deposited’. In perfect summer weather, Preston was visited by the Bishop of St Albans accompanied by nine of his clergy, namely; The Rev Canon Hensley, The Revds. B N Switzer and J G Williams (Hitchin), J E Eadon (Steveange), Canon Nairne (Baldock), G S Clayton (Kings Walden), L Stevens (Kimpton), T G M Macmorran (Ippollitts) and E A Ley (Manningtree). There were also present officially, Messrs. A Day (Diocesan Registrar), W T Lucas, F Shillitoe (Churchwardens), R de V Pryor, G Ware (Chapelwardens), W O Times (Solicitor), H G Moulden, T Ashton (Organists), W Allen (Verger) and the choirs of St Martin’s and St Mary’s. At 2 p.m., the procession started from the schoolroom and walked the distance of about 500 yards to the Church, singing hymns: Onward Christian Soldiers and Saviour, Blessed Saviour. At the west door, the petition to consecrate was presented to the Bishop by the Vicar of Hitchin, Canon Hensley, and read by the Registrar and then the services proceeded in the presence of about 600 people, many of whom, owing to the limited accommodation of St Martin, remained in the churchyard until the time came for its consecration. It was noted that the consecration of a churchyard was an important event in the life of a parish, for it was one that seldom happened. Many valuable and handsome gifts have been presented for the new church....The offertory at the consecration amounted to £62 17s 9d and about £200 is needed now to free the Building Committee from all anxiety as to its liabilities. The congregations have been large since the opening of the church. Among the gifts are the following: Large iron mat or scraper for West Door by Mr H Barham (Sun Street); large lamp (100-candle power for gallery) by Messrs. Williams and Son (Sun Street); a very handsome brass chandelier for the chancel by Mrs Macmillan; cushion for the Altar and hanging for prayer desk by Miss Brooke; Alms Dish and Communion Linen by Mr C E Percival (London); Lenten Frontal by Mr H G Moulden; candlesticks by Mr F W Phillips. Mrs L A Hill (Queen Street) has collected for the Building Fund £1 5s 0d, part being a thank-offering from herself.